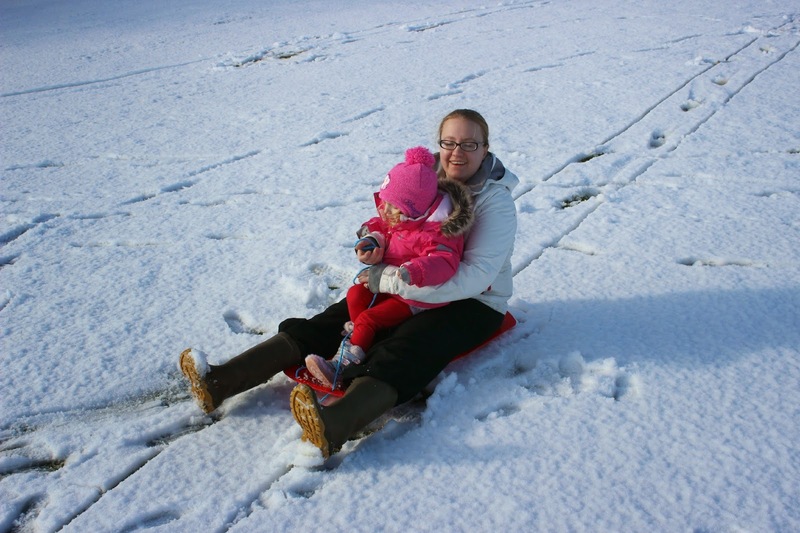 Mummy M's Memories: Do you Love or hate sledging??? 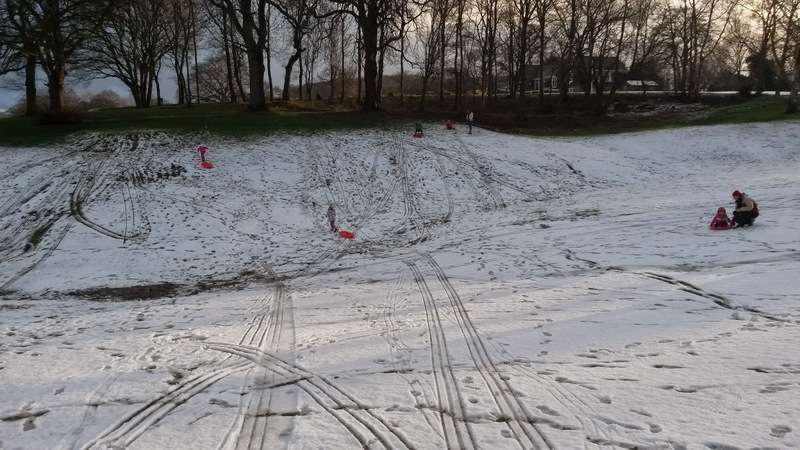 After J finished school, it was starting to rain, and we know when rain comes, the snow goes, so I asked her if she wanted to go sledging before it vanished completely, of course she did. As it was straight after school, we had the slopes to ourselves for about 15 minutes, then another family joined us... we found a different slope this time, with no ledge, but a puddle instead due to the thawing snow. The rain had soon stopped, and it was great fun. J and the other little girl were soon racing down the slopes. J has gained so much confidence on these slopes, especially as there is no fence she can go crashing through, or a little drop at the end. I think we have found our new slopes when it snows close to home. Love, love and once again love! I just wish we had more snow here. 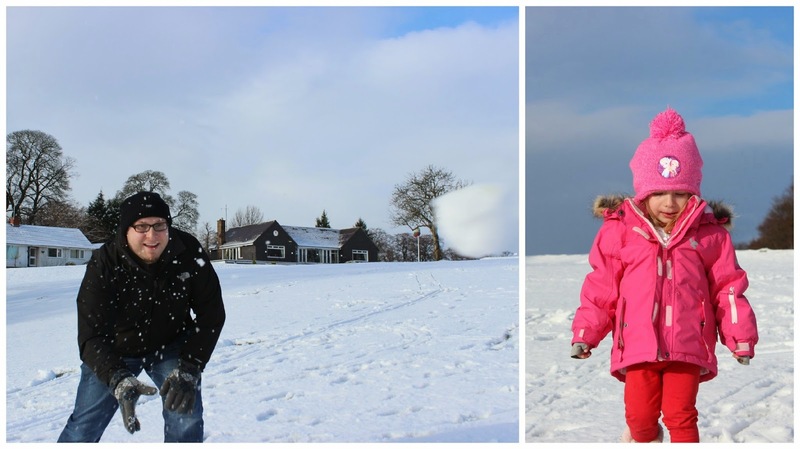 Lovely post, you were lucky to have enough snow to actually enjoy, we just got flurries that were cold and no fun. 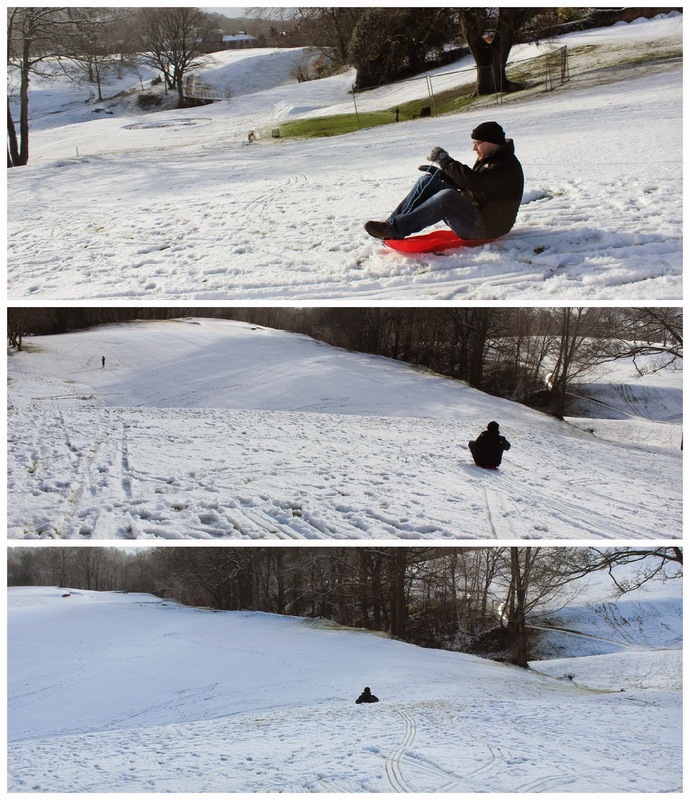 I love sledging (hate the snow, but love sledging), although haven't been for years. Last time it properly snowed here, N was only 18 months so just watched his cousins. Our hills are a bit steep for someone his size - I'm not sure I'd risk going down them myself! Love the video! 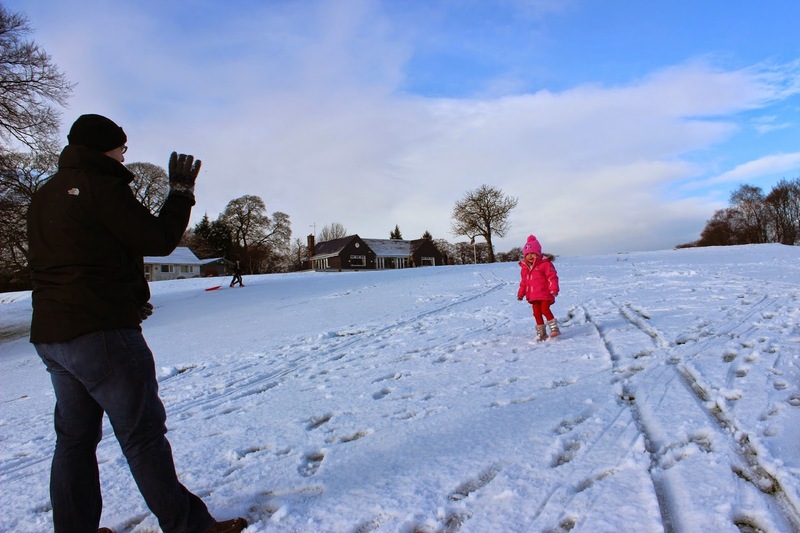 I can see how sledging can be a little scary for kids, especially younger ones - S will probably enjoy it in a year or two. 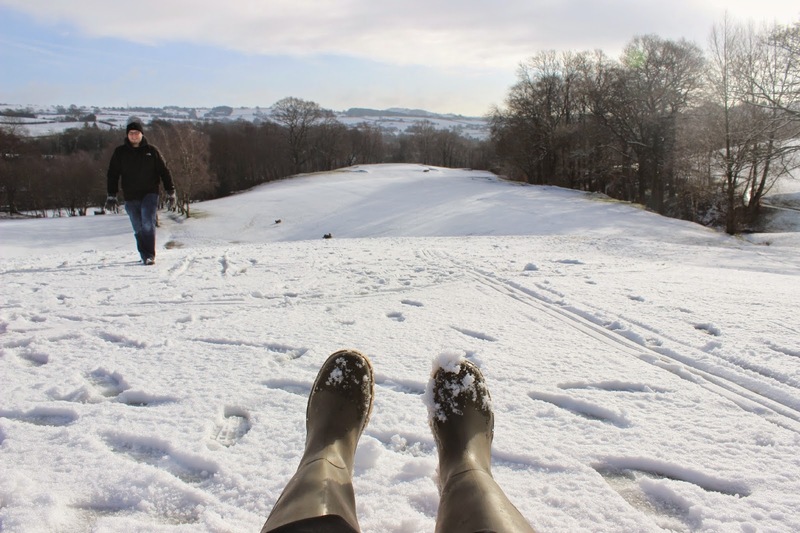 I wish we could have gone sledging when we had our 5 minutes of snow in London but it had all melted when the kids came home from school! Well, Winter's not over yet I suppose! I am loving your snow. Everyone I know with 2 girls has one girlie and one into superheroes etc. Great action pics and I so understand the difficulties in keeping everyone happy. My older two daughters have always been 'chalk and cheese' too - which makes family outings a little difficult at times!